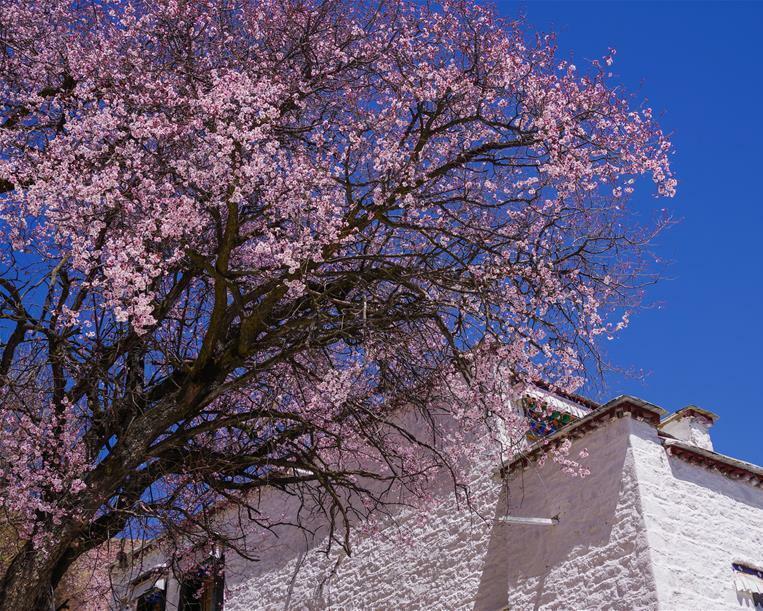 Due to historical reasons, in the past, Tibetan language education in Chamdo (situated at the east of the Tibet Autonomous Region) is underdeveloped when compared to central areas in the TAR, such as Lhasa, Shigatse, and Lhoka. After the third plenary session of the 11th CPC Central Committee, Tibetan language education has since been rejuvenated. 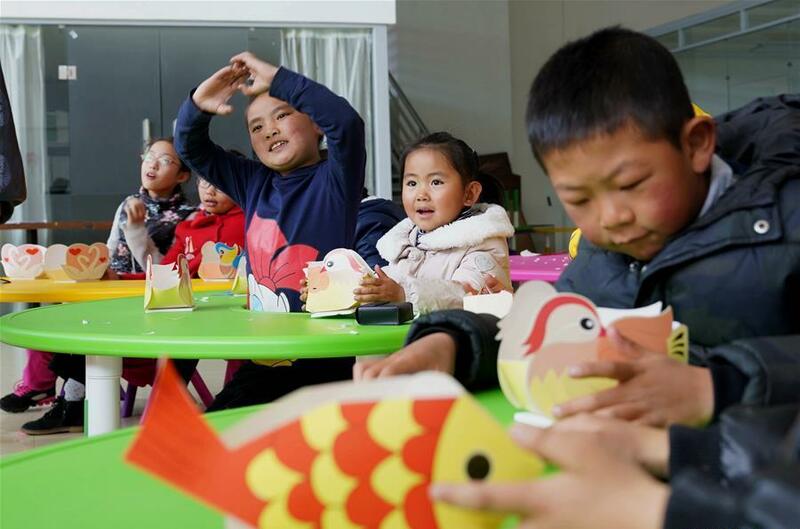 In Chamdo, the schools of eleven counties have set up “experimental classes especially prepared for children of farmers and herders”. The related policies clearly illustrate that such children should be admitted to schools and provided with a systematic education, with Tibetan language being a key subject and means of learning other subjects such as mathematics, physics, and chemistry. The education for these children of farmers and herders is freely provided in terms of free accommodation, food, and clothing. And the best teachers are selected to run the educational system. 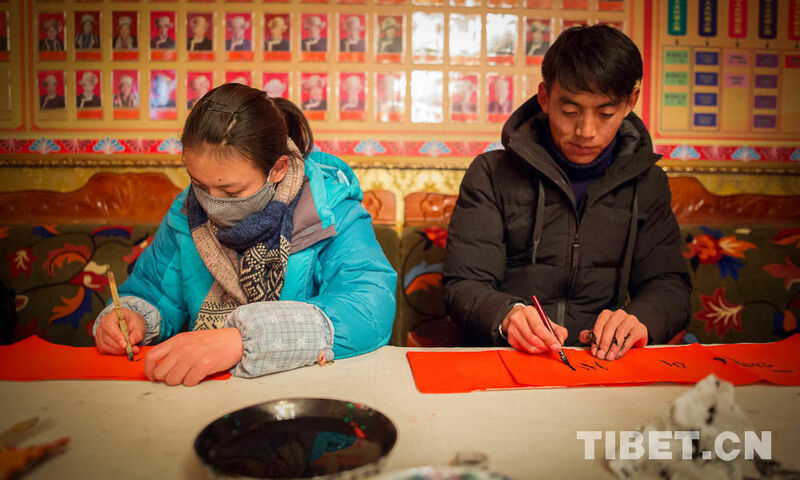 Ngoyab Tsering, being fond of the Tibetan language, has successfully passed examinations and was formally enrolled into one of the specially designed classes. Ngoyab Tsering’s teacher was Padma Dorje, a well known expert and someone who resumed a secular life after previously being a cleric. A man of light and a leader in Tibetan culture, he gained a great amount of virtue and high prestige, commanding a high level in Tibetan language studies as well as Tibetan research. The man had also become a Tibetan Buddhist scholar and was known for his gentleness and modest character, always taking care of whatever he had to do while treating students as his friends and schools as his home. Director of the Education Bureau of the county worked together with Padma Dorje, and they both became pivotal figures for these students as they provided them with their best support through issuing preferential policies and supplying them with their material needs in order to safeguard the quality of their education. Throughout his educational history, Ngoyab Tsering was deeply influenced by his teacher. Padma Dorje was a clerical scholar in the past, but his contributions were not limited to building a large number of temples. Instead, he took his wisdom and efforts to cultivate as many Tibetan scholars and talents as he could, believing this to be an eternal project that would have long-lasting effects. Due to his entering school later in life, when other students entered the tenth grade, he was comparatively much older than his peers. The government departments, however, cherished this batch of students who were greatly talented in Tibetan language studies, and the related departments were allowed to bend the rules to allow them to participate in examinations for university study as well as future employment. Three students were able to pass their college entrance exams and were finally admitted into universities, and later, with further upgrades in teaching quality, 30 more were able to follow in their footsteps, with the list of accepting schools including Tibetan Medical School, Chamdo Normal School, and Tibet University. 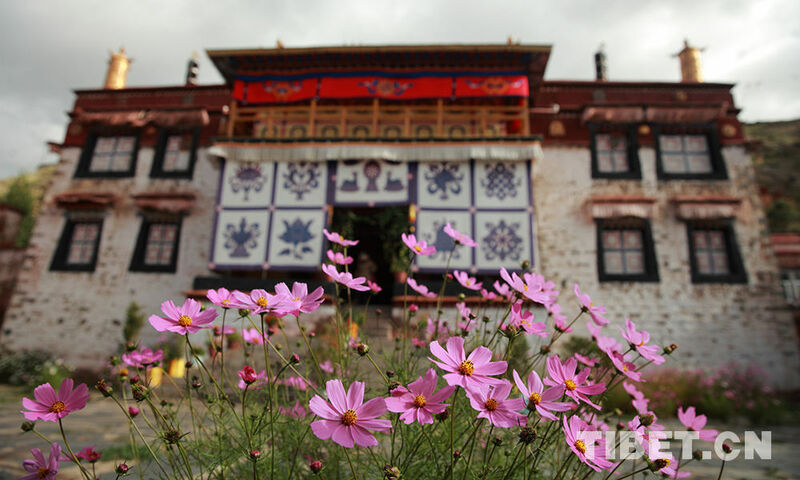 In the end, they became the leading force on both Tibetan language and Tibetan traditional medicine. When 18 years of age, Ngoyab Tsering, after graduating from middle school, was dispatched to become a member of cadres serving the animal husbandry industry within Ngari Prefecture’s Tsabu District in Gertse County. Ngoyab Tsering is at work. Tsenor is the party secretary of Tsabu District. He valued people’s talents highly and believed that Ngoyab Tsering should not just maintain a capacit y in the Tibetan language, wanting also to cultivate him so that he could gain more capabilities. That was why he arranged Ngoyab Tsering to pursue secretarial studies in the University of Ethnic Tibetans. Succeeding in his entrance examinations, Ngoyab Tsering was once again admit ted by a university, and after graduation, he returned to Gertse County to work for the Bureau of Civil Administration. 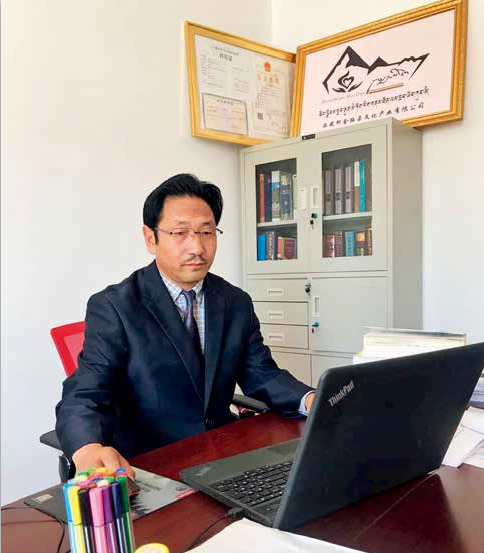 In 1991, he was assigned to Chamdo Prefecture to become a professional translator in the Tibetan language, and in 2008, he was again assigned to serve Tibet Daily as a professional editor. Translation is one of the most historic activities in human society. This kind of human activity was born almost simultaneously with the birth of languages. It is just because of that that the Tibetan language is featured with extensibility and inclusiveness. There seem to be no words and phrases that are untranslatable. Only two situations may impede the application and expression of translation when it comes to Tibetan. The first is that translators sometimes cannot truly understand the original meaning of texts. The other is that translators may have a weak capability expressing certain concepts in their mother tongues. The advancement and richness of the Tibetan language is highly acknowledged by scholars. Ngoyab Tsering came to know a friend involved in translating famous Western academic monographs, and he showed Ngoyab Tsering that some phrases appearing in Chinese and English have counterparts in Tibetan. It seems that the more one studies Tibetan, the obvious richness in phrasing and terminology becomes significantly more apparent. 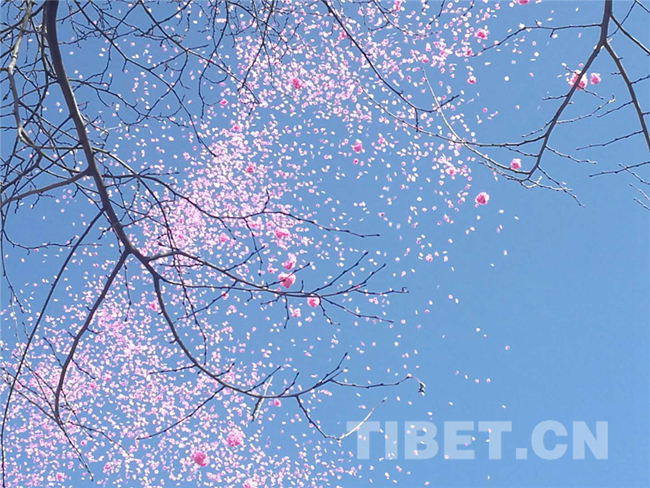 Ethnic Tibetans have a saying that, “The world can come to an end through folly but can boom when culture progresses.” Culture is a type of soft power to step into the world and the Tibetan culture is no exception. On one particular occasion in Chamdo, Ngoyab Tsering became interested in running a translation company. His friend from his hometown came to bid for some commercial land in Tianjin Square, but he had a hard time due to the high amount of competitors. Somehow, though, he won, and his friends cheered his success and celebrated with a big gathering. When it got down to payment, however, his means of funding the operation was suddenly broken. He tried to take out a loan from various banks, but he continued to come across dead ends. With no further option, his friend had to ask his business partner to take over the project, and everything went downhill from there and ended up in a big mess. Ngoyab Tsering watched this unfold and then understood that without any financial backing, he could never pursue anything that he might have wanted to do. 2016, he formally funded his culture related company, Bangjin Meiduo Cultural Industrial Limited Company. The company mainly involves cultural services as well as literary translations and includes such aspects as cultural tourism, entertainment services, advertisements, exhibitions, cultural product production and sales, cultural research, and community services. Mainly, however, the core business is focused on translations between Tibetan and Chinese, with some work involving English. Autonomous Region. The company also translated the book titled Real Estate Registration and Operational Standards, but the time required to complete the project was extremely tight. The work load was high, but quality was also of the utmost importance. Ngoyab Tsering employed some senior translators to work for him, and in the end, they finished the task most satisfactorily. Since he prefers to maintain step-by-step quality control throughout the entire translation process, the final proofreading and polishing only took him half a day. The professional translators were very careful with their work, and after two days, the 45-page book, now in Tibetan, was sent for publishing. Ngoyab Tsering says he was encouraged and propelled by the strenuous efforts and meticulousness of the experts as they tackled and eventually finished the heavily daunting task.